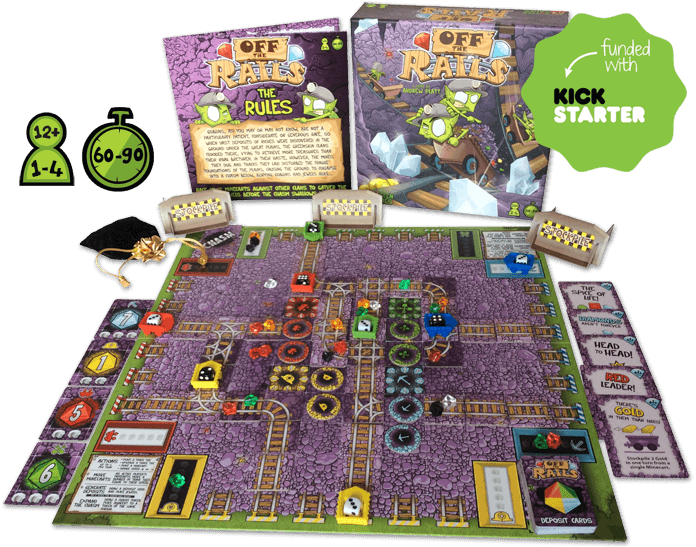 Off the Rails is an exciting, strategic and competitive 1-4 player board game of tile placement and risk / reward mechanics! Even though the campaign has ended, Off the Rails is STILL available for a limited time! Email offtherailsgame@gmail.com for more information!